The D'Addario EXL115 Medium Blues/Jazz/Rock Guitar Strings 11-49 is a set of six strings for an electric guitar. The EXL115 set offers moderate flexibility and a full, beefy tone. 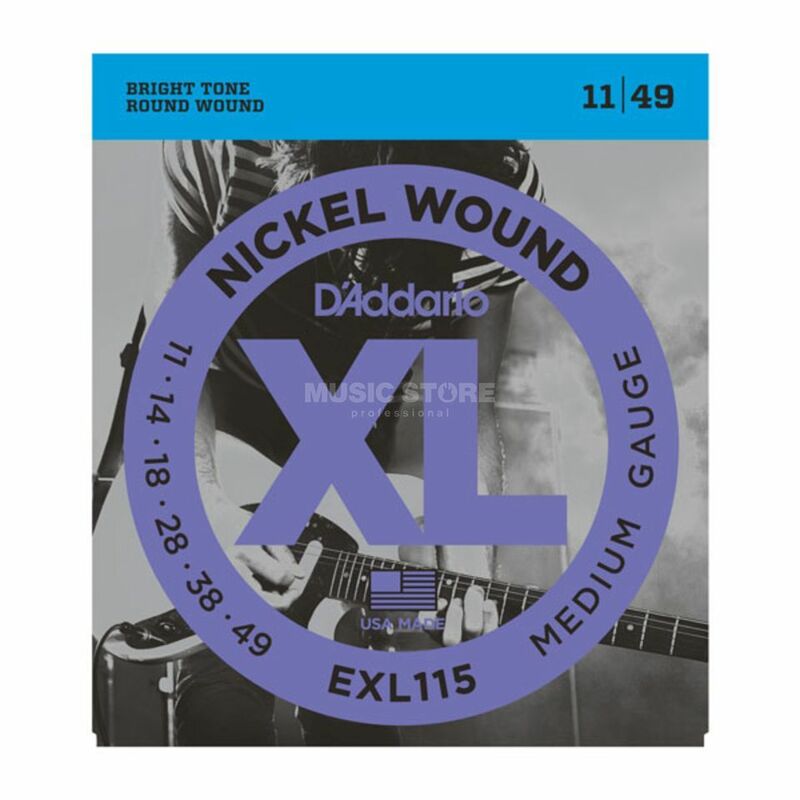 The XL Nickel Wound series is one of D’Addario’s most popular strings thanks to their excellent intonation and suitability for the widest variety of guitar and musical styles. These strings are precision wound with nickel-plated steel onto a carefully drawn high-carbon steel core that is hexagonally shaped. I have tried all sorts of string but I always come back to these. I like how they are package air tight so they never come out of the package rusty. OK they may not be the top range strings out there but they are a reliable Industry standard and they always offer same good performance. I bought these 11's for a semi hollow with a bigsby and they help with tuning stability. Good strings.